This is a Scalping system based on the bollinger bands and Zig Zag.But it can also be considered a price action scalping system. stochastic indicator crossed and pointing up. Entry when price closed into Bollinger Bands (20.2 ) at open next bar. stochastic indicator crossed and pointing down. Profit Target 6-10 pips depnds by currency pairs. Profit Target also on the middle band. Place Stop loss below or above entry candle. This Scalping System is also good for trading on the Binary Options. This is a Binary Options Strategy One Touch. See version Binary Options One Touch Strategy Bollinger Bands with Zig Zag Scalping System. 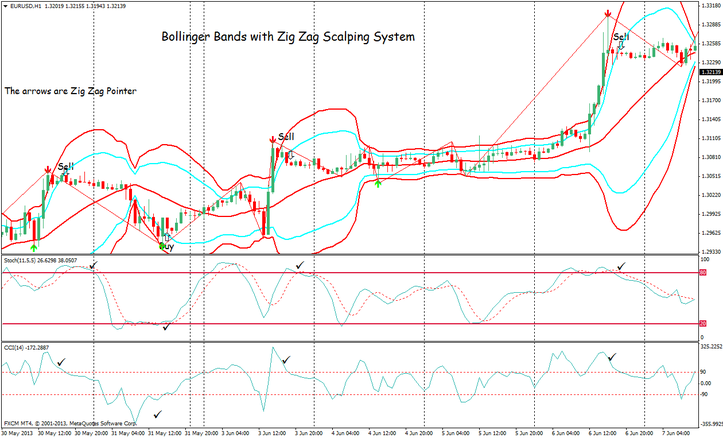 In the pictures Bollinger Bands with Zig Zag Scalping System forex system in action. 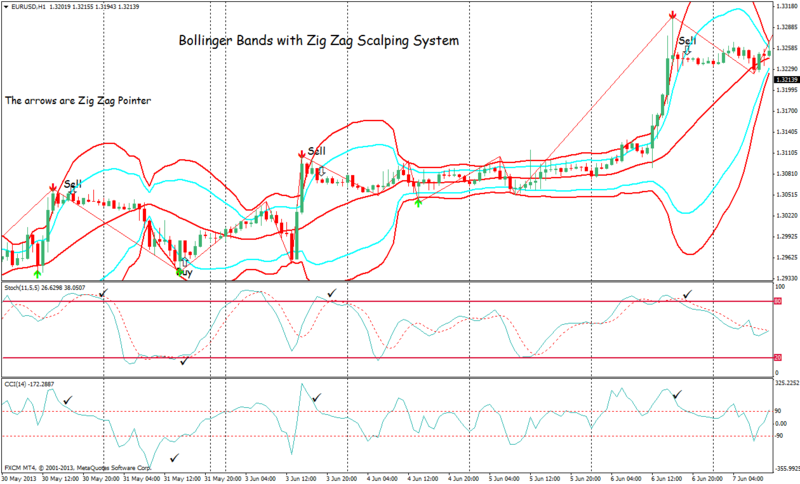 Trading System:Bollinger Bands and Zig Zag Scalping System is a scalping system based on the bollinger bands indicator and Zig zag indicator. But it also considered a price action scalping system.